This week, opposition parties united to vote in favour of a motion calling for referrals to the scheme to end. PRESSURE FROM THE Troika resulted in the government setting up the much-criticised JobPath scheme, according to the Labour Party. This week, opposition parties united to vote in favour of a motion calling for referrals to the scheme to end. The motion was passed by 81 votes to 42. The two private companies employed by the State to operate the scheme are Turas Nua and Seetec. The two contractors are paid to work with both the jobseeker and employers to identify employment opportunities. They receive payments when someone who has taken part in the scheme gains proven employment. Sustainment payments are also to be made to the companies over the course of a year in respect of each person who secures employment having engaged in the JobPath process. The scheme was introduced in 2015, under the Fine Gael-Labour government, in a bid to help alleviate the high-level of unemployment. During a debate on the issue this week, Labour’s Brendan Ryan told the Dáil that “pressure from the Troika to set up Job Path came in the context of very high unemployment”. Frankly, none of the experts in the Troika, the Department or elsewhere expected the jobs-rich recovery we have seen. He said JobPath was a creation of the time when unemployment was significantly higher and expected to remain high for some time to come, adding that the “privatised approach is no longer needed”. “It is our view that public and community services are much better placed now to deliver the tailored supports to workers, rather than for profit entities like Seetec and Turas Nua,” said Ryan, who said the department should go back to fully supporting the Local Employment Service and resourcing Community Employment schemes, along with education and training programmes to help those most distant from the workforce to reskill and equip themselves for work. When the idea of JobPath was first floated, concerns were raised by Sinn Féin a private company ‘cherrypicking’ jobseekers to find work for. In 2014, as the tender for the scheme was being issued, there were calls on the Minister for Social Protection at the time, Joan Burton, to halt the tendering process and turn back from the privatisation of schemes aimed at getting people back to work. 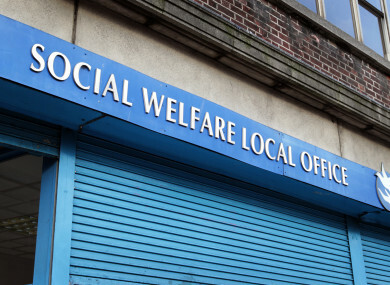 In response to a query from TheJournal.ie in 2014, the Department of Social Protection said it was not necessarily the case that contracts under JobPath would be with private companies. Since this comment was issued, two private companies were awarded the contract. A spokesperson for the department at the time said many of the larger companies involved in this activity in other countries are not-for-profit organisations like the Salvation Army and Working Links. The JobPath model ensures that all programme participants must receive a defined level of service. Higher payments will be made in respect of those who are further from the labour market and lower payments to those who are closer to the labour market. Companies will not be able to recover their costs or make a profit without getting people into jobs. “The JobPath model also provides that fees will be reduced if the number of people in work exceed certain predetermined levels thus restricting the amount of profit a company can earn,” they said. The two private companies employed by the State, Turas Nua and Seetec, to operate the scheme have received €75.7 million and €73.3 million respectively to carry out its work. Ryan said it was disappointing that since the contract for JobPath was awarded in 2015 there has been no comprehensive external evaluation of the service, stating that after three years it is bizarre that no independent data is available on the performance of the service. Email “Pressure from the Troika made government set up JobPath scheme, says Labour ”. Feedback on “Pressure from the Troika made government set up JobPath scheme, says Labour ”.